Bahai News, September 14, 2015. Vahed Khalousi (واحد خلوصی), a Bahai student who has been excluded from tertiary education, was arrested in front of his home in Tehran a few days ago. According to current reports, he has been transferred to Raja’i shahr prison and is being held in the quarantine wing. He is expected to be moved to the wing housing prisoners of conscience on Wednesday. He was arrested in March 2010, along with four other Bahais: Navid Khanjani, Sama Nourani. Eqan Shahidi and Dorsa Sobhani (نوید خانجانی ، سما نورانی، ایقان شهیدی و درسا سبحانی), and later released on bail. It appears he was arrested to begin serving a five-year sentence in connection with this arrest, although another report, in January 2014, states that he was sentenced to two years in prison, possibly on a separate charge. The charges levelled against persons accused of political and religious crimes in Iran are so vague, that it is difficult to distinguish one case from another. Mr. Khalousi was also one of the 35 social activists, including five Bahais, who were arrested while bring aid to the victims of the the 2011 Azerbaijan earthquake. The activists were detained in Tabriz for almost two months and were charged with assembly and collusion to commit crimes against national security, endangering public health and insulting Iran’s Supreme Leader. All were acquitted in September 2013. Bahai News (facebook), September 13, 2015. Mr. Sasan Haqiri (ساسان حقیری) has been released on parole from Isfahan’s central prison. He was one of the Bahais arrested on July 21, 2012, in widespread raids by security forces in cities and towns in Isfahan province. He was sentenced to one year in prison and a one-year suspended sentence, on charges of propaganda against the regime and society, and began his sentence in mid-June this year. After completing the national university entrance examinations, Ava Amini Yazdel (آوا امینی یزدلی), an 18-year old Bahai, was confronted with a message on the examinations result site saying that her file was incomplete, and she could not continue her education. “File defective” is currently the usual phrase used to exclude Bahai students from tertiary education. Although President Hassan Rouhani had promised to address the issue of students being excluded from university, many Bahai students were excluded after the entrance examinations this year, on the excuse that their files were incomplete. Dhabihullah Ra’ufi ( ذبیح الله رئوفی ), a 66-year-old Bahai from Sanandaj, was arrested by agents from the Ministry of Intelligence on September 8. Four agents raided his home and seized CD’s, books, pictures and other items relating to the Bahai Faith. On 12 July 2015, a Baha’i, Mrs. Baji Muhammadifard passed away and her family sought a burial permit to inter her body in the Bahai cemetery in Sanandaj. This was refused, with the officials insisting that Mrs. Muhammadifar’s body be laid to rest in the Baha’i cemetery in Qorveh, a town located approximately an hour and a half from Sanandaj. It emerged that this was part of a nation-wide policy under which Bahais would be buried in only one cemetery in each province of Iran. 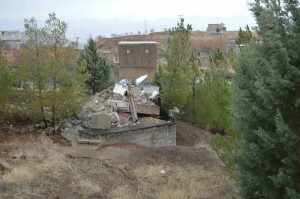 During and after the difficulties with burying Mrs. Muhammadifar, Bahais in Sanandaj approached a number of officials such as the Friday Prayer Leader and the Public Prosecutor, regarding the burial, and it is thought that the latest arrest may be intended to stifle protests regarding the burial. Mr. Ra’ufi was arrested in 2009, and sentenced to 6 months in prison on charges of propaganda against the regime [followed according to my information by 6 months in exile ~Sen]. And in June, 2011, the Ministry of Intelligence in Sanandaj conducted mass interrogations of the Bahais there, seeking information on how Sanandaj’s Bahai community is managed. One of those questioned was Dhabihullah Ra’ufi. Bahai News, August 31, 2015. Mr. Sohrab Naqipour ( سهراب نقی پور) and Mrs. Adhar Pourkhorasand (آذر طلوعی – پورخرسند) have been released on bail from their imprisonment in Yazd. They were arrested in July 2012, in raids that netted dozens of Bahais in Tehran, Shiraz, Mashhad, Isfahan, Shahin Shahr, Vila Shahr, Arak and Yazd. They were sentenced to one year in prison, and a one-year suspended sentence, and began their sentences in late May or early June, 2015. The report does not indicate why they have been released after three months: both were held for less than a month following their first arrest, so previous time in detention is not the explanation. Bahai News (facebook), September 3, 2015. A court in Golestan Province (Northern Mazandaran region) has tried three Bahais on charges of “propaganda against the regime.” Their names are given as Soudabeh Mehdinezhad ( سودابه مهدی نژاد ), Rufeya Pakzadan ( روفیا پاکزادان), who was also reported to have been tried on July 3, and Nazi Tahqiqi (نازی تحقیقی). They are among 20 Bahais who were arrested in the Province in October, 2012, and later released on bail. On Monday 24 August, officials shut off the water supply for residents of the town of Dazgareh in Semnan province. The water comes from a well dug with a legal permit 25 years ago, and given to the town by the Khanjani Family. The family are Bahais. The police, Revolutionary Guards Corps, and Intelligence and Security agents of the water authority and other officials, including Mr. Ehsani, head of the Intelligence service, were in attendance. They had a special expedited order to destroy the well, and used heavy construction machinery. Work continued to 2:00 am in the morning. Campaign against harassment of Bahais, August 23, 2015. Shahram Falah (شهرام فلاح), a Bahai from Yazd who began a 3-year prison sentence in Kerman on February 4, 2015, has been granted a 10-day furlough, and left prison this morning. He is one of 20 Bahais who were arrested in central Iran August 2012: 10 in Yazd and Isfahan and 10 others in towns and cities such as Shahin Shahr, Vila Shahr, Arak and Kerman. This report indicates he was held in Kerman prison, although earlier reports said he was in Yazd Prison. Bahai News (Persian), August 15, 2015. Bahai News (Persian), August 18. 2015. Amanullah Mostaqim ( امان‌الله مستقیم ) one of the imprisoned staff members of the Bahai Open University (BIHE) in Iran, was returned to Raja’i Shahr prison on the morning of August 18. Mr. Mostaqim, a Bahai from Shiraz, is serving a 5-year sentence for educational activities. He had been free on medical leave since late April, 2015, as hesuffers from diabetes and heart disease. Prison doctors have determined that prison and other stressful circumstances are a danger for him. He began serving his sentence on May 20, 2013, but he has had a number of periods in hospital during his time at Raja’i Shahr prison. Until this morning, it had been expected that his medical leave would be transformed into conditional release. Bahai News (Persian), August 17, 2015. Kamran Rahimiyan ( کامران رحیمیان ), one of the teachers of the Bahai Open University in Iran, has been released from Raja’i Shahr prison, near Tehran, at the end of a 4-year sentence. His wife Faran Hesami ( فاران حسامی ) is still serving a 4-year sentence, in Evin Prison in Tehran, also for educational activities. Mr. Rahimiyan’s father was martyred for his faith in Evin Prison, 32 years ago, following the 1979 revolution. Dorsa Qolizadeh (درسا قلی‌زاده), a Bahai student of architecture who had managed to enjoy two terms of tertiary education at Rouzbahan University, a private institution in Sari, has been expelled from the University following pressure from Iran’s Ministry of ‘Intelligence.’ She has described the events in a letter, on which this summary is based. During the examinations at the end of the second term, on June 9, she was summoned by telephone to the Sari office of the Ministry of Intelligence, and asked why she had enrolled when she knew the Bahais were not permitted to attend higher education in Iran. She was accused of teaching the Bahai Faith on the campus, but without any specifics about when or how she was supposed to have done this. When she asked for evidence, she was told it was not her place to ask questions. The two interrogators told her that there were three possibilities: continue in her religious beliefs, and be expelled from the University; continue her studies outside Iran; or renounce the Bahai religion, and go to the Friday Imam [to declare herself a Shiah Muslim], in which case her conversion to Islam would be published in the newspapers and she could continue her studies. Ironically, her examination for the following day would be on the subject “The Islamic Perspective.” She replied that people believe in their hearts, you (the Ministry) cannot take their faith from them, and chose to stick to her beliefs. She was able to sit the last two examinations, and tell her friends that she was being expelled. She reports a great measure of solidarity from her classmates and friends. Next day, she was summoned to the University to sign a form. She did so, and then realized that the form said she was withdrawing from the course. The university staff may have meant well, since signing the form also meant that she would get part of her university fees back. Update: Iran Press Watch has now translated the entire letter. Bahai News, August 15, 2015. Ten Bahais from Hamadan have been sentenced to one year in prison, and two have also been sentenced to two years in exile in the town of Khash (خاش), near the Afghan border south of Zahedan, which is 1800 kilometres from their homes. The ten were tried on July 29, and charged with propaganda against the regime. Strangely enough, an initial announcement from the court said that they would be acquitted for lack of evidence. Mozafer Ayoubi (مظفر ایوبی), Farida Ayoubi (فریده ایوبی), Mehran Khandel (مهران خاندل), Hamid Adharnoush [Azarnoush] (حمید آذرنوش) and Mas`oud Adharnoush (مسعود آذرنوش). Hamid and Mas1oud Adharnoush have also been sentenced to two years in exile. They were arrested in late March along with the others and bailed one month later. Several of these Bahais have also faced the closure of their businesses or workshops. Kamran Rahimiyan ( کامران رحیمیان ) and his wife Faran Hesami ( فاران حسامی ), and Keyvan Rahimiyan ( کیوان رحیمیان ) are serving prison terms for their work for the Bahai Open University (BIHE): Kamran and Faran have 4-year sentences and Keyvan has a 5-year sentence. All three are said to be in good health at present, Faran Hesami in Evin Prison in Tehran, and the Rahimiyan brothers in Raja’i Shahr prison. Kamran Rahimiyan should be released in a few weeks, on August 22; Faran Hesami on April 7, 2016; and Keyvan Rahimiyan in August, 2017. Kamran and Keyvan have been denied any prison leave during their sentences, but Faran has been allowed leave twice, in November 2014 and March 2015. Kamran and Faran have a son Artin (آرتین) who is in the care of his grandmother, Mrs. Rahimiyan (his grandfather was martyred for his Faith some years ago), and Artin will begin school on September 23, by which time his father should be free. Faran Hesami has applied for leave on that day, but thus far it has been denied. She is able to meet her son and mother-in-law once a week, first for a few minutes in a visiting cubicle, when they can discuss Artin’s upbringing, and then face-to-face with her son in a room for mothers and children. Bahai News (facebook), August 12, 2015. Mr. Saba Golshan ( صبا گلشن ) reported to the central prison on Isfahan this morning, to begin serving a 4-year sentence. His sentence also includes a one-year suspended sentence. On August 1, 2011, agents from the Ministry of Intelligence raided many Bahai homes in the cities of Yazd , Isfahan, Kerman and Arak, and arrested 17 Bahais. Two weeks later, three more Bahais were arrested in Yazd. These 20 Bahais have been given sentences totaling 78 years. MAF News, August 4, 2015. Bahai News facebook page, August 9, 2015. Alaeddin Khanjani (علا‌ءالدین خانجانی), known as Niki (نیکی), has been summoned to present his final defence before Bench 5 of the court at Evin Prison in Tehran on August 10. Bench 5 has specialised in the persecution of Bahais. Niki Khanjani and Babak Mobasher ( بابک مبشر ) and some of their Bahai employees were arrested in Tehran on August 24, apparently because they were selling spectacles, which was forbidden for Bahais. However the new regulations making it illegal for Bahais to sell spectacles are still officially secret: the existence of a new law is inferred from arrests of Bahai optometrists and closures of Bahai opticians’ shops across Iran in the course of 2014 and 2015. For a list of the economic sectors that are forbidden for Bahais, see “Iran’s apartheid rules” on this blog. Niki Khanjani’s father Jamalledin Khanjani (جمال الدین خانجانی) is one of the seven ‘Yaran’ (Bahai national facilitators) who are now in the eighth year of 20-year sentences for their services to the Bahai community. His son Fu’ad Khanjani (فواد خانجانی) is serving a 4-year sentence. I have posted the entire letter in English on my Bahai Studies blog, under the title “Let’s talk,” together with some reflections on what can be learned, and what could be done. Bahai News (facebook page), August 4, 2015. Reports from Sari indicate that over 30 Bahais business have been closed by authorities, and that the closures are continuing. Most of the closures have now lasted from 3 weeks to 3 months, and in a few cases much longer. Local Bahais say that officials have two aims: to isolate the Bahais from society, and to force them to leave the country. By keeping the shops locked up, officials ensure that perishable contents will deteriorate. Officials have also tried to get the Bahais to sign an undertaking not to close their businesses on Bahai Holy Days. However the law allows all businesses to close without giving notice, on 15 days during the year, except that businesses such as bakeries are only allowed to close for 3 days and are required to give notice to the authorities before they close. On May 27 I reported that eleven Bahai business had been closed in Sari. Since then, I have reported on five more closures. the most recent on June 30. The present report apparently includes these earlier closures. In recent months there has been a wave of closures for Bahai business across Iran, in cities such as Hamadan, Karaj, Kerman, Rafsanjan, Tehran and Zahedan, but the Bahais in Sari have faced the heaviest persecution. See the category “economic discrimination” on this blog. Bahai News (facebook page), August 2, 2015. Mahvash Shahreyari-Sabet (مهوش ثابت-شهریاری ), one of the “Yaran” (National facilitators for the Bahai community in Iran) who are serving twenty year prison sentences, has been transferred to hospital. Mrs. Sadiqeh Moradi (صدیقه مرادی) was taken to hospital at the same time: she was arrested on May 1, 2011, and is serving a 10-year sentence for making war on God and having links to the opposition. Both women were taken to the intensive care unit at the Shohada-e Tajrish hospital in Tehran for MRI scans. Mrs. Sabet was handcuffed for the move, and since the handcuffs stayed on for more than six hours, she suffered pain in her hands. Mrs. Sabet was arrested on March 5, 2008, in Mashhad, where she had gone to make arrangements for the burial of a Bahai. She was held in solitary confinement for 175 days. Concerns for her health in prison were expressed as early as 2010, and on September 26, 2012, she suffered a hip fracture due to osteoporosis but was denied surgery. Before her arrest, she served for 15 years as Director of the Bahai Institute for Higher Education, which provides alternative higher education for Bahai youth who are excluded from all other forms of higher education in Iran. Despite the orders of the Prosecutor, authorities at Evin prison, in Tehran, have refused to allow Shahriar Cyrus (شهریار سیروس), a Bahai painter and a respected art critic, to receive family visits. Mr. Cyrus was arrested on June 30th. On July 23, his wife Afsaneh Eqani (افسانه ایقانی) and their 7-year-old son went to block 209 at Evin prison, where prisoners of conscience are held. They had a visiting permit from the Tehran prosecutor’s office. However the interrogator for bench 3 of Evin court, a Mr. Hosseini (حسینی) refused to allow a visit. Mr. Cyrus has now been held in solitary confinement for a month, yet his family have not been told why he was arrested. Farzan Faramarzi blog, July 29, 2015. “It was Mr. Larijani.” (a reference to ‘lying larry‘, the head of Iran’s Human Rights Council). University staff, and then the Head of Security, confirmed that Samim Dukuhaki had been expelled from University. In response to protestations, and a request from Samim Dukuhaki for a written explanation of his expulsion, they were told that he could not study at a university because he is a Bahai, and they could provide nothing in writing to confirm that he had ever been registered. Samim Dukuhaki, who in the estimation of his teachers had made good progress during his first term, said goodbye to his teachers and classmates, and left the University of Freedom. In its ‘feast letter‘ addressed to the Bahais who will gather at centres across the US on July 31 (the Feast of Kamal), the National Spiritual Assembly of the Bahais of the United States calls on the Bahais to participate in a world-wide street art campaign in support of all those excluded from higher education in Iran, especially the Bahai students. Efforts will draw on the power of public art to give a city’s common spaces a unique character and to help raise awareness of local, national, and international issues and concerns. “Paint the Change” will commission murals in cities around the world―two of them being New York and Los Angeles. The murals will serve as sites for events and as inspiration for photos and videos …. Beyond the official murals, “Paint the Change” will stimulate individuals and groups to create their own art. Street art can take many forms, and we hope that you will … find creative ways to express your support of “Paint the Change.” An online handbook will provide useful materials and sample artwork to aid you, and the “Paint the Change” website will enable you to explore ways that you and your community can join this new phase of Education Is Not a Crime. Use of the social media will be integral to the success of “Paint the Change” and it is already active on Twitter, Instagram, and Facebook. To join the conversation, please follow and “like” the “Paint the Change” pages and use the official hashtags, #EducationIsNotACrime and #PaintTheChange. The campaign will also be engaging a professional filmmaker to produce video vignettes focusing on activities connected with “Paint the Change” in various locales across the world. These videos will appear throughout the campaign’s duration, concluding in the spring of 2016. Individuals and communities are encouraged to keep the campaign apprised of local activities (you may send images and footage to be@paintthechange.me). Participants are also reminded to respect local laws and the rights of property owners. Campaign against harassment of Bahais, July 28, 2015. The Oweis website, whose page header indicates that it speaks for Ayatollah Khamenei’i (whom it promotes to ‘Grand Ayatollah’ ! ), has published a photograph of a Baha’i-run optometry shop in Zahedan, along with an article which says that all the Shiah and Sunni religious authorities have stated that all sorts of transactions and dealings with the Bahais are haram (religiously forbidden), the Atiyeh Sazan Hafez health insurance company has contracts for services with a number of Bahai-run opticians to provide services. It includes some Bahai-run businesses in its list of approved providers, and the pictured optometrist, which is not included in the list, is also said to have a contract with the insurer. [Implying that the company does business with the Bahais without publicizing the fact ~sen]. The report claims that the Bahais attract customers by providing services not covered by the insurance company, and invoicing them incorrectly. The deviant Bahai sect serves the purposes of the satanic Zionist regime and attacks the sacred Republic of Iran, by seeking to dominate the Iranian economy, but they will be thwarted by the diligence of authorities in enforcing the laws [that discriminate against Bahais] and by the citizens’ “imitating” (following) the supreme source of emulation (Khamane’i). The article concludes with various fatwas against having business or social contact with Bahai. [The Bahais of course will have no opportunity to answer these various slanders in the same media ! ] About 70% of the population of Zahedan are Sunni Muslims, who pay no heed to the fatwas of Khamene’i. As the “Campaign” report indicates, the population show a large measure of support for the oppressed Bahai minority. At the time of writing, the Oweis website is unavailable, but the report can be confirmed by using Google Translate’s cache for the page http://oweis.ir/?p=7986. Bahai News (Persian), July 27, 2015. Ten Bahais from Hamadan who have been free on bail have been informed that they face trial on July 29. They are to be charged with propaganda against the regime. The names of eight of the Bahais are given as Hamid Adharnoush [/ Azarnoush] (حمید آذرنوش), Mas`oud Adharnoush (مسعود آذرنوش), Shahin Rashedi (شاهین راشدى), `Atefeh Zahedi (عاطفه زاهدى), Roumina Tabibi (رومینا طبیبى), Mina Hemmati (مینا همتى), Mehran Khandel (مهران خاندل) and Parvaneh Ayoubi (پروانه ایوبى). It is likely that the two missing names are those of two Bahai women, Farida Ayoubi and Fataneh Mushtaq (فریده ایوبى و فتانه مشتاق), who were arrested in late March along with the others and bailed a few days later. Bahai News (Persian), July 26, 2015. On the night of July 25-26, a Bahai home in the Shahrak-e Gharb district in North-west Tehran was defaced with the usual unimaginative slogan: “Death to Baha’i.” The house on Sazman Barnameh Avenue, in a modern and prosperous neighbourhood near Eram Park, has been occupied by the Aqdasi (اقدسی) family for many years. This is the first time that they have faced such threats there, although graffiti, threatening letters, the vandalism of cars and arson attacks are common enough for the Bahais across Iran. Iran Press Watch, July 24, 2015. In an advertisement on its site, Tasnim news agency has announced that the Qom Seminary, the most influential seminary in Iran, intends to hold online introductory courses on the Baha’i Faith and the Ahl-e Haqq for seminary students across the country. These courses will be offered through the “All sects and religions organization,” and the Offices of Propaganda and Practical Training at the Qom Seminary. The Qom Seminary has started extensive propaganda on these subjects in most government centers and government sponsored news websites. The Qom seminary is not the only organisation teaching the principles of anti-Bahaism in Iran. The Habilian Association uses its website and mobile displays to spread anti-Bahaism and partisan political messages throughout Iran. Bahai News (Persian), July 24, 2015. Shahrukh Ta’if (شاهرخ طائف) was released from Raja’i Shahr prison this morning, at the end of a 4-year sentence. Mr. Ta’if was arrested at his home in Tehran on January 14, 2009 and held for over two months in solitary confinement. He was released on bail on March 18, 2009. He was sentenced to 4 years in prison for “membership of the Bahai community” and began his sentence in Evin prison on January 17, 2012. In August that year he was transferred to Raja’i Shahr prison, where many male prisoners of conscience are detained, and remained there until his release today. Campaign against harassment of Bahais, July 22, 2015. Kamand Agahi (کمند آگاهی), a 17-year-old school student in Isfahan, was expelled from Safura High School because of her Bahai beliefs on July 1 this year. The school principal, Mr. Qari (قاری) refused to confirm her school registration, and treated her and her family disrespectfully. After the family complained to the district schools authority, he declared she had been expelled because she was teaching the Bahai Faith in the school. Bahai World News Service (in English), July 18, 2015. Dawn prayers were held on the building site to begin the unveiling of the design of the first local Bahai House of Worship for the people of the Battambang region of Cambodia, where the Bahais have developed a vibrant community life centering on the worship of God and service to humanity. The events involved dignitaries and inhabitants of the surrounding communities, numbering over 300 people. Sochet Vitou Tang, the architect of the project, was deeply moved by the occasion as he addressed the audience. Mr. Tang said the project would create a place of tranquility where the mind and soul could find rest and solace, a place where the spiritual and material dimensions of life would be harmonized. He further explained that the House of Worship would become a center where people of all persuasions could “come to learn about life, about the environment, and the world beyond; a place where we come to build a unified world.” Then the model for the temple was unveiled by the architect and local village chiefs. Battambang is the second local Baha’i House of Worship whose design has been unveiled. It will be one among five local Baha’i Houses of Worship which are due to be built in the coming years. Campaign against harassment of Bahais, July 18, 2015. A Bahai-run taxi dispatch office in Karaj has been given 10 days to close its doors. The office, which takes telephone bookings for taxis, has been operated by Mr. Haqiqi (حقیقی) for several years. Local officials said that its operating licence would not be extended, because they are not allowed to issue business licences to Bahais, but they did allow him ten days to close his business. On 12 July 2015, a Baha’i, Mrs. Baji Muhammadifard passed away and her family sought a burial permit to inter her body in the Bahai cemetery in Sanandaj. This was refused, with the officials insisting that Mrs. Muhammadifar’s body be laid to rest in the Baha’i cemetery in Qorveh, a town located approximately an hour and a half from Sanandaj. Agreeing to burial in Qorveh would have forced the family to ignore the Bahai burial law requiring bodies to be interred within an hour’s journey from the place of death. The authorities told the family that an ambulance—which could exceed the speed limit—would carry the body. Members of the wider community who came to mourn Mrs. Muhammadifard’s passing were most sympathetic to the family’s situation. There was a swell of public support in the town, with attention being drawn to the unreasonable behavior of the authorities. Officials responded by summoning the son of the deceased for interrogation. After four hours of grueling questions and threats, he was forced to give up his mother’s body. Soon after it was taken in an ambulance, unaccompanied by any family member, to Qorveh cemetery. Bahai News (Persian), July 17, 2015. A Bahai-run travel agency in Tehran is reported to have been given 10 days to close its doors. The officers who came to the travel agency to announce this told the manager that this was because he or she is a Bahai. A number of Bahais in Karaj are also reported to have had “serious difficulties.” Under Iran’s apartheid rules, Bahais are banned from employment in many sectors, and are not allowed to run businesses such as restaurants, cafeterias and catering, food ingredients and foodstuff sales, takeaways (Iranian-style), cafe, butchers shops, supermarkets, the production and sale of ice-cream, fruit juice, soft drinks, pastry and sweets, and coffee. Optometry was apparently added to this list in 2014. It may be that the travel sector has also been included. Government authorities are reported to have buried Mrs. Baji Khanom Muhammadi-Far (باجی محمدی فر), a Bahai from Sanandaj, in the Golestan Javid cemetery in Qorveh. The name of this cemetery (the same as the one in Sanandaj) suggests that it is a Bahai cemetery. When Mrs. Muhammadi-Far died on July 12, authorities refused permission for her to be buried in the “Golestan Javid” cemetery in Sanandaj. 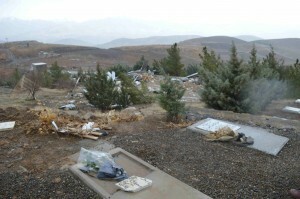 It is not clear whether this refers to the Bahai cemetery which was razed by local authorities in December 2013, or a new piece of land that has been acquired as a Bahai cemetery for Sanandaj. The latest report is that authorities have buriend Mrs. Muhammadi-Far in Qorveh against the wishes of her family. Qorveh is about 94 kilometers East of Sanandaj, over a mountain pass at Salavatabad. Not only is the distance a burden for the family, Bahai burial rituals require that the grave should be within one hour’s journey of the place of death. 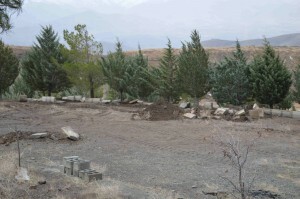 The cemetery at Qorveh does not satisfy this requirement of the Bahais of Sanandaj. The authorities in Sanandaj had previously threatened the family with arrest, and said they would bury Mrs. Muhammadi-Far in Qorveh without any ceremony. As previously reported, when Mrs. Baji Khanom Muhammadi-Far (باجی خانم محمدی فر), a Bahai living in Sanandaj, died on July 12, authorities refused permission for her to be buried in the Golestan Javid cemetery, sending 50 security agents to surround the cemetery and prevent the family and Bahai community performing the burial. Three days later, authorities are still refusing to issue a burial permit, and the family’s questions have gone unanswered. Moreover the body of Mrs Muhammadi-Far has not been allowed to enter the cool storage at the morgue. It is being kept, packed in ice, in a private home. These decisions have apparently not been taken by local officials, but at some higher level. The present news makes it clear that the authorities were not objecting to the possibility of a large Bahai funeral, but rather to the presence of a Bahai body in the morgue or cemetery. According to a primitive superstition which is widespread among the majority Shiah community in Iran, Bahais, Zoroastrians and some other people — whether living or dead — are believed to be ‘unclean’ and able to contaminate ‘pure’ (Shiah) people. Fardin Aghsani (فردین اغصانی), a Bahai war veteran who has been imprisoned in Urumiyyeh (Urmia), has been released from prison there. Mr Aghsani began serving his 3-year sentence on December 14, 2014. If, as reported, he has been released at the end of his sentence, the courts must have taken account of time in prison before he was sentenced, or his war record. He was a prisoner of war in Iraq for two and a half years. His wife Mrs. Farahnaz Moqadam (فرحناز مقدم) began her own three year sentence on December 10, 2014. The couple were among seven Bahais in Urumiyyeh who, in July 2014, were given sentences ranging from six months to six years for teaching the Bahai Faith and propaganda against the Islamic Republic through hosting regular teaching classes in their homes, teaching minors and attracting Muslims. They were also charged with assembly and collusion in the form of membership of a Bahai Assembly, and having links to the Universal House of Justice (the elected body that heads the international Bahai community). Bahai News (Persian), July 5, 2015. Nasser Baqeri (ناصر باقری), Fa’ez Baqeri (فائز باقری), and Mrs. Rouha Emani (روحا ایمانی) were freed on bail in the past few hours. The release of Mrs Emani was reported on July 1, but on July 2 it was reported that there had been some delay. She was arrested in Yazd during a raid on her home on May 12. Fa’ez Baqeri and his father Nasser Baqeri were arrested in their home on February 28 this year. On June 25 it was reported that had been moved from prison to hospital because of a severe ear infection. The condition of Dr. Fu’ad Moqaddam (فواد مقدم), a 63-year-old physician and one of the administrators of the Baha’i online university, who is serving a five year prison sentence at Raja’i Shahr (or Gohardasht) Prison in Karaj, is reported to be critical. He is known to have had at least two heart attacks since he was imprisoned. The lack of air conditioning in prison, the heat, and blocking all the windows with sheets of iron, and limiting exercise hours to three hours per day in the afternoon heat, have caused many medical problems. Throughout his imprisonment, authorities have limited or entirely refused medical treatment for him. This report implies that he has again been denied hospital treatment outside the prison, despite his present condition. The BIHE is a distance-learning institute which serves students who are excluded from tertiary study in Iran, because they are Bahais. Fu’ad Moqaddam ( فواد مقدم ) was arrested in May, 2011, and sentenced to five years in prison. The fourth of a series of group trials of Bahais has taken place in Gorgan. This time four Bahai women were tried on charges of propaganda against the regime, apparently connected to a prayer meeting. The sentences have not been announced (a ‘guilty’ verdict may be assumed, as Bahais are never “not guilty” in Iranian courts). Those tried this time are Rufeya Pakzadan ( روفیا پاکزادان), Shohreh Saimi (شهره صمیمی), Parivash Shoja`i ( پریوش شجاعی ) and Tina Mauhabati ( تینا موهبتی ). Mrs. Pakzadan was not present and had no defence representation, as she had not received a summons. She was arrested on March 18, 2013, and released on bail on April 1. She was charged with membership of Bahai organisations, teaching the Bahai Faith, and communicating with foreign governments. Shohreh Saimi and Parivash Shoja`i were among the Bahais detained on October 16 and 17, 2012, in a wave of arrests of Bahais in Gorgan and Minudasht. Tina Mauhabati, who lives in Tehran, was arrested at the bus station in Gorgan on the evening of October 23, as she was waiting for the bus to Tehran. Her mother, Shiva Rouhani ( شیوا روحانی ) was one of those arrested in the previous week. The four women tried in the last few days (HRANA does not give a date) have been free on bail, which will continue until they begin their jail sentences. Kourush Ziari ( کوروش زیاری ), a Bahai from Gonbad-e Qabus in North-eastern Iran who is serving a 5-year sentence in Raja’i Shahr prison, was taken to a hospital on July 2. This ends a long period in which he has been denied both a medical furlough and proper medical treatment. He was arrested by the Ministry of Intelligence in Gonbad-e Qabus on October 17, 2012, and later transferred to Gorgan. In the company of 6 other Bahai prisoners in Gorgan, he was transferred to Evin Prison in Tehran and finally to Raja’i Shahr prison, on December 22, 2012. It is interesting to note that the seven prisoners moved from Gorgan prison actually began serving their sentences before they had been sentenced! About two months before Mr. Ziari’s arrest he was in an accident and suffered a torn tendon and underwent an operation, and at the time of his arrest he was still receiving physiotherapy. Following his arrest the flow of blood to his feet was impeded and his condition worsened for lack of treatment. He developed a lumbar complaint, osteo-arthritis and a tendon complaint in his foot. Prison doctors recommended 40 sessions of physiotherapy and hydrotherapy, but this was denied. The bad conditions in prison have made his condition steadily worse. Bahai News (Persian facebook page), July 1, 2015. Faran Hesami ( فاران حسامی ), one of the imprisoned teachers from the Bahai Open University (BIHE) who is serving a 4-year prison sentence in Evin Prison in Tehran, has been granted a 3-day furlough, starting this morning. She has been granted such leaves twice previously, in March and November 2014. Her husband Kamran Rahimiyan ( کامران رحیمیان ) is also serving 4-year prison sentence for educational activities, in Raja’i Shahr prison, about 50 kilometres from Tehran. Their son Artin (آرتین) is in the care of his grandmother. His grandfather was martyred for his Faith some years ago. In March this year, Mrs. Hesami was awarded the Raha Südwind Award which honours individuals who have participated in the promotion and protection of human rights in Iran. Bahai News (Persian), July 1, 2015. Bahai News (Persian), July 1, 2015. Updated July 2. [July 1] Mrs. Rouha Emani (روحا ایمانی), a Bahai who was arrested in Yazd during a raid on her home on May 12, has been released on bail. See the earlier report on her arrest here. [July 2] Bahai News reports that Mrs. Emani has not (yet?) been released, and is being held in jail in Yazd.